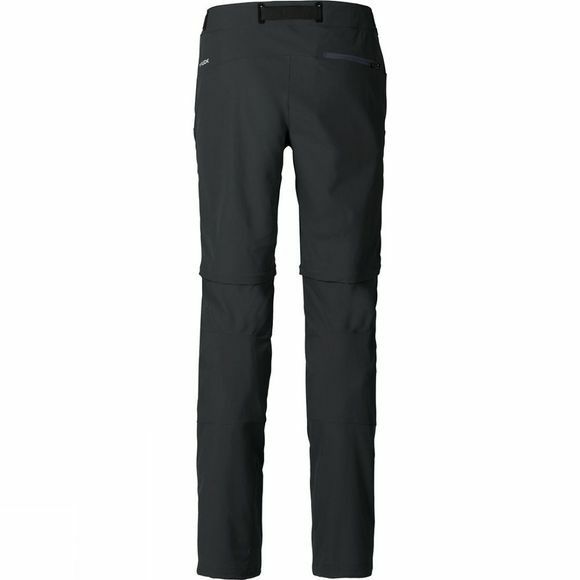 Vaude's shortcut to the summit: lightweight softshell touring pants from full stretch Windproof 80 fabric, can be zipped off to shorts – a feature you'll appreciate for long ascents in hot weather, crossing melt water streams and a well-deserved siesta after the last pitch. 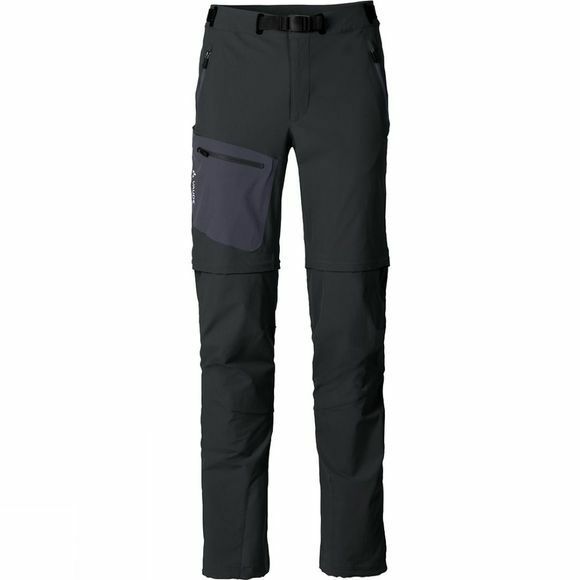 In all other ways, they're just like our popular Badile Pants: lateral ventilation zips, welded thigh pocket and an unbeatably breathable softshell fabric. This product is made with Eco Finish, an eco-friendly water-repellent finish without fluorocarbons (PFC). Green Shape is your Vaude guarantee for eco-friendly products – made from sustainable materials and resource-conserving production.